Micah and Michael discuss how starting a new online course or membership site is a lot like starting a new piece of software, and why it’s crucial to starting both with a “minimum viable” approach. They also discuss the psychology behind coming up with a price for an online course and the difference that a $50 course versus a $2,000 dollar price point can have for a business. What’s Spiffy and where can you learn more from Michael? Creating a modern looking order form with Infusionsoft is tricky. What’s even harder is adding your own content and trying to customize an Infusionsoft order form. Spiffy is an add-on for Infusionsoft users that makes it easy to build great looking, responsive order forms with Infusionsoft. They also have a ton of prebuilt order form templates, based on some of the highest converting order forms they’ve created for leading info marketers, that you can use to quickly create your own order forms with Spiffy. If you enjoyed this episode we'd love it if you could subscribe, rate, or review the Membership Site Success Podcast on iTunes by clicking here. Michael shares his insights about the biggest mistakes people all to often make when it comes to building a membership site or online course. Learn how you can avoid these same mistakes and effectively overcome them with a minimum viable approach. The course landscape has evolved over time. 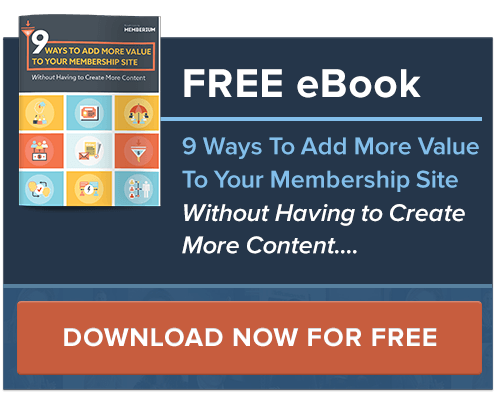 Find out how these changes have changed the way you should structure your content inside of your membership program or course to being results oriented. He shares a lot of useful pointers in effectively managing these changes and staying relevant in today’s crowded online course market. Michael emphasizes on how the beginning can negatively or positively impact your business. How you start a new online course can make or break your business. Find out how to start it the right way. In this episode, Michael gives his personal advice to anyone who’s just starting out or is at the foundation phase of their business. He discusses about the concept of progress between membership site newbies and online information marketing veterans. Find out what successful info marketers have in common, what drives their success, and how you can apply their same strategies to your own business. Michael discusses how to organize your program’s content to achieve the results that you are looking for. Michael highlights the importance of building a community. How events can strengthen a brand and how those relationships can impact the success of your business. Micah: Hey everybody, Micah Mitchell here and I am with a special guest Michael Hunter of GoSpiffy and Michael and I have been friends for a little while now but he has kind of an interesting background that I didn’t know the first time I talked to him. I just thought “Oh, he’s a software guy or whatever” but he’s got a great marketing background and today we get to dive into how he runs his software kind of as a membership site and some of the parallels between the two so, Michael welcome to the show! Michael: Thanks Micah, thanks for having me man, excited to share some info with some peeps! Micah: Of course man, I’m excited too, this is going to be fun. So, why don’t we start off with you just giving a little bit of a background about yourself, what you’ve done and where you’re at today? Michael: Awesome. So I’ve been an entrepreneur since I was 17 years old and I started a bunch of different businesses but about seven years ago I started an online marketing company helping small business owners market online. It was actually right when Facebook opened up their platform for business and you could actually create a page. That was an area where our generation has had a lot of experience with social media and I felt I could add a lot of value to the business owners and quickly realized that small businesses needed a lot more help with marketing than just with social media. They need help with email marketing, with their website, with marketing strategy in general so it kind of developed a full service marketing company and then quickly niched down into working with authors, speakers, coaches and personal brands. For the last three years we’ve been working with some of the biggest personal brands in the industry and we’re actually running Brendon Burchard’s marketing for three full years, I was an outsource CMO role, so when it comes to running big, big product launches, book launches, anything as it relates to marketing automation and successful marketing campaigns we’ve pretty much done it all, all the way from Facebook ads to creating new products to launching those products out to the world with sales copy, messaging, all that crazy stuff. Obviously, thought leaders, one of the ways they monetized their knowledge is through membership sites so we’re constantly helping people navigate those waters and sending people over to Memberium because Memberium is our favorite tool when it comes to building online courses for thought leaders, experts and any type of online course. Micah: Thank you for saying that, I’ll slip you a twenty a little later. The first time I talked to you I was aware of you but I saw you as these are the guys who created GoSpiffy, which for people on the call who don’t know, that’s the leading order form designer for Infusionsoft. So Infusionsoft has order forms, GoSpiffy makes them amazing. We use your product as well. But then when I got talking to you and since then we talked that’s when I learned about this whole other background that you have, so that’s why I’m excited to have you on the call, we can talk about software all day but just the fact that you’re at the top of the market in leading these big info products I think there’s a lot to share. Michael: Yeah, that’s how GoSpiffy really came about because all of our customers were using Infusionsoft, we were Infusionsoft partners, I actually used to work for Infusionsoft back in the day so all of our big clients that are doing these big multi-million dollar launches and they needed a great looking mobile-optimized order form. So, my business partner Jeremy Abraham and I, we were spending so much time custom coding Infusionsoft order forms where we realized how big of a pain point it was for customers and one day I just turned to Jeremy and I was like dude there’s got to be a way to productize this template that we’ve created to kind of did all the mobile optimization stuff so we had a good starting point but it still took us ten hours to custom develop these order forms for our clients. It was just absolutely ridiculous and Spiffy was kind of born out of a pain point from the service side of our business. Micah: Got you, and it’s been interesting to talk to a couple software developers who have that similar situation. I was talking to one recently and he wasn’t I guess recommending this but he said one idea and he talks to people who do this and he said “Does that mean you can make any, all the software development you get done you can turn into a product?” I kind of said no, it’s only the ones that you really want to support forever because it’s a lot of on-going work, right? Michael: Yeah, absolutely. It’s not just for any type of business. When you’re first getting started out if you really knew how hard it was you probably wouldn’t have started doing it so it’s just one of those things where you have to create whether it’s a membership site or software company it has to be around the topic that you’re passionate about because that initial spark of motivation and passion will win and you have to have something deeper, some deeper rooted motivation to keep you going when you start hitting some of those challenges, those obstacles. Micah: For sure, let’s explain something and you can help fill in any gaps here, so, your software is actually inside of membership sites so basically people are logging in just like a member but instead of accessing content they’re getting access to your tool, right? Michael: Exactly. So when we built Spiffy we wanted to find the quickest path cash and create a minimum viable product with the least amount of up front development possible. Obviously, whenever you’re using a software product that you’re paying for, you tend to have a login page and you have a dashboard and you have essentially this whole gated system of an application where again you have to log in and then you have access to the tool. Very similar to a membership site, right? You log in to access the content and since we were developing Spiffy to work with Infusionsoft order forms, Memberium was a perfect tool to help us get our software company jump started. I think we did an interview a year or two ago and I think we were the very first Memberium customer to use Memberium for a software product. Those business models are very, very similar and through Memberium’s API capabilities, I don’t want to get too technical I’ll scare everyone away, but through the customization that you can do just through the Memberium API, it allowed us to have a huge head start and we didn’t have to develop all that from scratch. So a lot of the same functionality and convenience for Memberium provides for membership sites as far as tagging is concerned and updating your billing information, invoices, things of that nature, all for membership sites, those are all the same functionalities and features that you want to have for a software product too. So, the same exact business model as far as paying the monthly subscription to get access to content and our content just happens to be a tool. That’s kind of how we got started with Spiffy and we’re super, super grateful for what you guys have done, you kind of helped us, helped pave the path for us to drive down that road a little bit faster that we otherwise wouldn’t be able to. Micah: Yeah, I’m glad to hear. You guys I know have done really well, I know most people are now using Spiffy, anybody that goes beyond the normal stuff it’s just a simple decision because, I’ll only talk about this for a minute and then I want to draw some parallels for membership sites but your platform not only makes the order forms look good, they’re mobile, responsive, mobile-friendly in a number of ways but the interface in your platform is amazing. Just the other day I went in because I had to update one and I was like oh crap, I’m going to have to go through this whole mess because I used to custom code those order forms and it’s pain. But I went to Spiffy and I was like oh, it was a simple drag and drop, click and edit, it’s beautiful. I know you have another version that has even more coming out but, yeah, I just wanted to commend on that and anybody using Infusionsoft should check it out. Let’s basically make some relations here between running a software company and a membership site because you’ve worked on a lot of membership sites, I want to throw you a couple curve balls here. So, what’s like the biggest mistake and you don’t have to say who is it for but what’s a huge mistake in your mind that maybe has happened when building a membership site, something you wouldn’t do again? Michael: We worked with people that were just getting started with their first membership sites and people that are pros that have built twenty different membership sites over their career. So we’ve seen both ends of the spectrum and I think the biggest mistake that I see people make is trying to jam pack all of their information into a single course. When you do that it makes it hard to structure, it makes it confusing to lay out, it becomes this daunting task to where you never actually start to create your course because it’s such a big project. So one is the scope of the content for the online course is too big. They try to jam pack too much information into that course. The course landscape has changed, Micah you know this, but things are moving towards a results oriented online course structure where they don’t care whether an online course is one hour of content or 15 hours of content or 100 hours of content. They just care that you are making the process of getting them from where they are to where they want to go as streamlined and as efficient as possible. If you can get somebody a result that nets them an ROI of 10 000$ whether that’s actual hard money or savings of time or reducing headache, reducing friction in their business, whatever that is, if you can get a result for a business owner or your target market that’s worth 10 000 dollars for them and all it takes is an hour of training, it’s not about it only being an hour of training but the value you provide. I see too many people getting hang up in one critic or it’s too big and then having perfectionist syndrome. The creation of an online course is very, very similar to the creation of a software company I would highly encourage anybody who is in that beginning phase of creating an online course to go read books on how to create a successful lean startup software company. Essentially, one of the things that we talk a lot about and we actually are doing some consulting with other people that are wanting to get into the software space, it’s a metaphor we use is you’re looking to build a Ferrari, a Ferrari is like the idealistic version of your software or of your membership site but the best way of tackling that task or going after eventually building your Ferrari is to build a skateboard first. Too many people try to start building the engine of their Ferrari first and then they start building the interior and then they start building the wheel but then they realize that they don’t have a steering wheel and then they start to build a steering wheel but break the wheel. They start to try and build this perfect version of what they want that never actually gets the result for their customer. The customer is trying to get from point A to point B and they’re trying to build a Ferrari first to get them from point A to point B in style and as fast as possible, just build them a skateboard. It might take a little bit longer, it might not be as pretty, it might not be as attractive but it’s still going to get from point A to point B. The point B is that when you’re building a membership site make it simple. Don’t overthink it, it doesn’t have to be super high production. You’re sharing your information, you’re sharing your knowledge, you’re sharing your expertise, you’re helping people get from where they are to where they want to go so just get started, start making money and then reinvest into your cost and then do the high budget, high production, trick it out. I know that was probably a little bit longer of an explanation that you wanted or were expecting but that’s kind of my thought process. Micah: It’s perfect, that’s just gospel right there. I want to point out two things in there, one when you were talking about volume it reminds me a long time ago I got a direct mail piece and I spent two grand on this program because it said, and this was like 13, 14 years ago, but it said over 500 hours of transcripts and interviews and 13 or 14 years ago that seemed valuable, the volume seemed valuable. Just this morning, seriously two hours ago, I was going to buy something and then it said 80+ hours of recorded content and I thought I’m never going to go through 80 hours of content and I didn’t buy it because it was bigger. If it just said like 20, or 30 I would’ve probably bought the same thing because I want the result, the benefits on the page and what not and I was like okay I like that but the volume, you know, I was out of there. So that’s one thing, the volume that you pointed out that I think makes perfect sense and a lot of people do get hung up on that. The other is, I love that analogy the skateboard versus the Ferrari because yeah, a lot of people especially I think probably for us where we do software, where you do marketing software and things like that, people are tempted to say well I saw so and so’s site and they’re doing this and I want to do that same thing and I saw this other guy and they’re doing this and I want to do that same thing, I want to combine it all together. And it’s like slow down and I love that analogy. For those of you listening, I can tell you that we did that exact same thing when we developed Memberium. I know Mike did that with Spiffy and even recently I launched my own membership site and if you go there today there is no community so we know the best practices, we know a community is a good thing but I didn’t start with it, I didn’t even start with gamification, there’s no badges, there’s no points, there’s no certifications and it’s such a valuable point that you make of, yeah you’ve got to start somewhere and you’re not going to start with a Ferrari. Michael: Absolutely, we started Spiffy and there wasn’t even a login for our customers to log in and access our application. Jeremy was logged into the database, they’d create their account and we’d send them their code snippet for their order forms. So I was like the basic functionality of the software is that you have a place where the customer can log in and access the app. We didn’t even have that and we were making sales. *That’s the other thing too, you have this illusion that your customer wants this super highly polished intro, outro in every single video and that your membership site needs to be super optimized for mobile right out of the gates, and like you said yes, all those are best practices, yes you do want to have all those pieces but they shouldn’t be the barrier to you generating revenue online. It starts scrappy, get that scrappy mentality, get your information out there and iterate and improve upon what you’ve already created and what’s already generating revenue because we see this a lot, there’s a lot of times where people create a course on a topic or a subject and they’re just talking about it and they just want to sell it in the wrong way and they ultimately spend all this time into creating all this time into something that’s not optimized to sell. Like either it’s not solving the solution that people are actively looking for and willing to pay for or they’re just talking about it the wrong way and they’re even getting the offer in front of the right people and it’s definitely something that they need but it’s just not resonating with them so like, you don’t want to spend all this time developing something that you’re not even sure is going to sell in the first place. Micah: Yeah, even though it’s software I hope people don’t get distracted by the software thing, I love that your first version was what do they really want and need, they really want and need a snippet of code and their order form that makes it look this way. How they get there they don’t really care about. Like yeah you can make it better but I think it’s the same case with membership sites, what do they want? They want to stop smoking or they want to grow their business and they want whatever it is, they do not care, you’ll occasionally get somebody. Like we got somebody who bought and cancelled Memberium the other day and they said “Oh well the user experience in the software just isn’t up to 2018 standards” and you know, I’m thinking one, I’m not sure what that means but two, that one guy of thousands isn’t going to make me stop everything and go change focus on user experience versus the core value that people are really looking for. I’m sure you feel the same way even though I feel like your guys’ aesthetics are amazing, your user experience has gotten so much better but I love that like you said it started with the basics and I think most membership site owners they don’t realize that, they take part in these big launches where everybody is mailing for this big guy like “oh he’s friends with everybody, it must be amazing,” and you go in and it is good but if you look at that guy five years ago when he was starting, that wasn’t the case. Michael: Absolutely, everybody has to start with it at some extent, regardless of what level you’re at, but especially when you’re getting started you can’t compare somebody’s frontstage to your backstage. That’s kind of a concept that I believe I’d learned from Brandon Bayard that’s like you’re looking at somebody’s frontstage, their highlight of what could be five, ten, twenty years of them grinding it out, building their expertise, building their team. You’re looking at the fifth version of their website ad you’re trying to start at their twenty year mark on your day one. You’re looking at your messy desk or you’re looking at how not clear you are on the content of your course and everybody seems to have it all figured out but you’re not comparing apples to apples, you’re comparing their end product to your foundation phase. Their front stage of twenty years of building their business to your one year of business. It’s easier to get discouraged, it’s easier to overcomplicate things and again there are best practices that you want to adhere to and incorporate but don’t let those get in the way of getting the product out there. One thing that we teach and it’s been said by a lot of people over the years but number one reason why people don’t make money online is because they’re not getting an offer in front of people. So it doesn’t matter how great or how much neuroscience or psychology or adult learning theory is going into your online course, if it’s taking you five years to build, nobody is actually accessing it. It would be much better to not overthink it, create a scrappy version of your course, get an offer in front of people, start generating revenue and then as you’re generating revenue build that Ferrari with all that adult learning theory and neuroscience and psychology and checklists and follow up tools and gamification and all that type of stuff. All that stuff is wicked cool but that’s pro level, major league baseball and you’re coming into the first day of high school baseball trying to compete with the major leagues. Micah: Yeah, I want to say one more thing about this before move on to another question because I think you and I are both really passionate about this. I’ll also say that another thing can happen when you launch your minimum viable product and that’s that it can fail miserably and that’s a good thing because you didn’t overbuild a giant thing and then let it fail miserably so for those of you out there, I can’t emphasize this enough and this is the core of some of our teaching as well, just like Mike is saying, build that skateboard first, start small. Moving on, kind of on the opposite end of that question, what are some of the things that you would say the most successful info marketers or membership site owners have in common? Michael: That’s a really good question. I mean the first thing that comes to mind is kind of the same thing that we were talking about. It’s having a results oriented content process or a content flow where the course is designed to get a specific results. It trips out all of the decision making from the customer, from the person going through the course, from the student and gives them a single path to take to get to success. For example, if you’re helping people build an online course or if you’re helping teach people how to generate revenue online, don’t create a module that is talking about tech tools or marketing automation, don’t give them five different tools to choose from, give them two tools to choose from. Hey, if you’re just getting started and you have a small budget, use ActiveCampaign. If you want to create a tool that’s going to do a lot of advanced marketing stuff and you have a business that’s already generating revenue and you want to play at a little bit higher level, get Infusionsoft. Make it so simple for them so that they know exactly where they fit and they don’t have to go down the wormhole of what software platform should I use. So create a single path that people can take to get from point A to point B, make all the decisions for them based off of your expertise or looking to you as the experts to help them make those decisions, guide them down the path and that’s what I’ve seen be very, very successful because with an online course the most effective way of building a community is word-of-mouth. Obviously it helps generate sales but it also builds a community. Somebody who does a really good job at this is Marie Forleo. People who go through B School, I haven’t personally gone through B School but I’m a fan of Marie’s work and I know a lot of people have, they’re fans of Marie Forleo and B School and they have a community and support each other and that’s just priceless, to have that community aspect and the way to have that community and the way you generate word-of-mouth is that you get people results. You don’t benefit from having that 80 hour long course if nobody is going through it, nobody is getting results. Micah you probably didn’t tell anybody to go buy that course if you didn’t get any results from it or maybe you did get a result from it but the point being is that if it’s too hard to access the value in the course people aren’t going to get the result, nobody is going to talk about it and people are going to have more of a negative feeling around the course. Micah: I love that, one thing I want to dive deeper into is you mentioned one path and that’s something that as soon as you said it I was like “Oh that makes so much sense,” I feel like a lot of people myself included get stuck in the, even if you’re disciplined enough to choose an avatar and it’s like “Well mister avatar, you know, we know you, you’re very specific to us and we can serve you, you can go this way or this way or this way and here’s all these options and I feel like I’m educating them but really, they want to be led, right? Michael: Exactly, and I think one other avenue is that people that build successful courses aren’t afraid to just point people in the right direction. All these things are kind of intertwined between having too much content, helping people get results so in that example you can educate them and say hey, if you want this, this and this, go this direction, go that direction or go this direction but for this course we’re here to create value and results for you so this is the path that we’re taking. So, like, you can still add value and educate them and send them down the right path. I’m sure everybody has had a conversation with their friend or a mentor who’s recommended a book and that book had a big impact on your life and the way that you think about things moving forward. They didn’t sit there, they didn’t teach you all the principles of the book or read the book to you but that person still added value to your life just by simply making a recommendation and you took the action and went and found that value. Don’t be afraid to send people that way and even if you did all the work, you went to the store, you bought the book, you read the book, you still have the admiration for that mentor just for the recommendation, right? So you still get that credit for recommending that value, you’re still associated with the lessons that you learned from that book, even that person is going to teach you that lesson directly if that makes any sense. Micah: Yeah it does and I think when you’re talking about the community stuff too, the more specific the person making the course is, the more like-minded the community members are probably going to be rather than all on different paths so I think that’s really powerful, it’s kind of a unifying concept in these things. I didn’t expect you to but I imagine some listeners when I said “What’s the commonality?” It wasn’t like they’re all using Infusionsoft or whatever, it’s really not, they have kind of a concept where they understand something and they’re serving in a specific way so what’s another commonality, so we talked about, you know, they’re specific. They know what they want to teach and they point people in that direction, they’re not afraid to make the recommendation. We talked about community, is there anything else that comes to mind? Michael: When it comes to successful online course, people that really have most successful communities and the most rabid fans have a live event component to what they do. Brendon Burchard, Marie Forleo, Jeff Walker, Frank Kern, I mean all of them have live events that they do. Obviously Frank doesn’t do live events as much anymore but Marie Forleo she does one launch a year and she does one event a year. Literally that live event is what solidifies your community. It takes those online relationships and makes them real relationships, real in-life relationships. Friends are created out of that, partnerships are created out of that and I personally think that if you are in this for a long game and you’re creating a world-class online course, one of the best things you can do is have a live event component to it. I know that’s a little bit more on the best practices for business and not really like the tactics and the nuances of an online course but as you were saying it’s really not about the technology, it’s really not about the tools you’re using. There’s a lot of things that we can dig into when it comes to creating the offer for your membership site and bonuses and things of that nature. I don’t know if you want to go into all that type of stuff but it’s more like copywriting and structuring your offer and things of that nature. When it comes to just having a purely amazing membership site, it’s literally just having larger content based on the framework so making sure that your content is organized and easy to follow. I know a lot of these seems super rudimentary but that’s honestly what drives success. It’s what drives success in business, it’s what drives success with a marketing funnel, it’s what drives success with a membership site. Keeping it simple, making it easy to follow, creating systems and getting people results. Micah: Yeah, it makes me think of a question I was asked recently, they said why does Infusionsoft has such a strong community and such rabid fans and some people love Infusionsoft, some people don’t, it’s not for everybody. They do have a great community and after thinking about it for a minute I was like I think it was Icon, I think it was because they have an annual event and they got people together and they formed relationships. I met you I’m pretty sure on Icon for the first time and it really does solidify that community. You were saying maybe it’s not specifically membership site advice but I would say it definitely is, for everyone with a membership site what else do you have besides your content, which is what the event is about, your community, and I totally agree, in fact. We did a live event, we’ve done a couple but at the last one I was talking about the more tactical aspects of live events. I was kind of talking about the audience about why is live event valuable, you get to record content, bla, bla, bla. One of the guys said, and he obviously understood what you just said and at the time I was just missing it, he said “Well it creates raving fans, I liked you guys, I liked your support, I liked your software and now I love you guys, I’m going to tell everyone about you” just because he is in the audience, it’s not like I did something specific for him but yeah, bringing people together is huge, I love that. Michael: Obviously you can build relationships online but Micah if we hadn’t met in person five or six times, we’ve hung out at different events, Icon, PartnerCon, etc., we would just have a completely different relationship. When you meet someone in person and you break bread, you have meals together, you have drinks together, you have good conversations, there’s a deeper level of trust and friendship. Even if you’re not best buddies in the entire world you just have a better understanding and it’s just basic human connections. You’re going to have a far more deeper connection with the person on stage if you have a live event versus watching a video online. So, yeah, 100 percent agreed. Micah I can’t hear you right now I think you might be muted. Micah: Oh yeah, sorry, thank you. Since you did mention it, I want to get a little bit tactical for a second just because you’re such an expert at this so for someone wanting to structure their courses, because this comes up so often, let’s say they have a body of content and we can talk about different sizes of content and curriculum but do you recommend that they start off with just a course or you say let’s splinter some out for TripWire and have a main course and have an upsell… What are some of your general thoughts and recommendations for that stuff? Michael: The ultimate answer is it really depends on your target market, I know that a lot of people use that as a cop out but it’s oftentimes a lot easier to sell a course that is a thousand dollars or two thousand dollars than it is to sell a 50 dollar course, especially if you’re promising to make somebody a lot of money or save somebody a lot of time and like “the course is only fifty bucks” how much time can they actually save? Versus something that is a thousand dollars. So a price point can have something to do with it but at the same time if you are selling an online course to entrepreneurs or you’re selling an online course to business owners or how to make money online, you can command a lot higher fee than somebody in the personal fitness space. So, price point is a big differentiating factor between industries. I am personally not a fan of TripWire’s specifically but they are really, really effective if you are running ads, running paid advertisement and the point of that being is that you’re able to recoup some of the advertising costs immediately versus having to wait seven, ten, fifteen days for people to kind of go through your nurture sequence and see your offer for your course. When it comes to upsells, absolutely, one hundred percent add upsells to your membership course and there’s a right way and a wrong way to do that because you don’t want to upsell something that really should be included in the course. You don’t want to upsell like “Hey I’m going to show you how to make more money online but now you bought this, here’s conversion optimization, this course is going to teach you how to convert more sales through copywriting and optimizing your sales page and your order form.” Like, that should probably be included in the course, right? Upsells are definitely a huge, huge thing you should absolutely implement. It will leave you money on the table if you don’t. Then when it comes to structuring your course and just kind of figuring out how to weigh it all out I like to think of modules as steps. Going back to what I said earlier, the course is designed to get somebody from where they’re at now to the desired result. So one of those steps that somebody needs to take in order to get there, those are your modules. Micah: I like that because it’s interesting what you’re talking about, price and a couple of these things, because I was in a Mastermind last week and I didn’t know going down but several of them were big membership site owners with thousands of members each and a couple of the things that was interesting is one of them, their last launch they added 2500 paid members and they’re doing another launch and we were basically like do you have an upsell and we said “Well, we have a couple other courses that people can buy if they want” but they’ve never done a one click upsell so I love your recommendation just absolutely 100 percent do upsells. And then in their case especially they had like a basic, not basic but in-depth course but they had these kind of power up type things that to your point they didn’t necessarily have to be in the main course for the person to get value from the main course. Main course was good but they were extra, they were for people to take it to another level so they were perfect to position as upsells. If you’re getting 2500 orders, you don’t need a high percentage conversion. It’s kind of like an “aha” moment for them and they’re doing amazing. It’s not taking anything away from them but it’s just like yeah, upsells are amazing. And it’s interesting to me that in this group people weren’t doing TripWire stuff and of the groups was really concerned about their pricing, they were like “we want to do an 11 percent price increase” but kind of like you said, the thing is so cheap now I’d rather pay more for it and feel like I’m spending my time wisely because if I spend fifty bucks for something that I’m going to go through for so many hours, it’s like how valuable can it be. Just doing quick math in my head if it’s costing me between a dollar and five dollars an hour, I don’t know if it’s even worth my time at that point. Michael: And then just basic human nature or logic, if I spend 50 dollars on that, the pain of not accessing the value really isn’t that big. I’m down for 50 bucks if I don’t log in. If I pay a thousand dollars for this course now I’m like okay, I’m committed. Same thing with, people have those sayings about free advice. The advice is only worth as much as you pay for it, you will actually value something more if you pay a lot more for it. If you guys just gave Memberium for free people wouldn’t value it as if they’re paying for it, right? That might not be the best example ever but it’s like people value what they pay for. People value their money and if they’re going to exchange money for something that’s a sign that they value that. Like you said, if you’re able to make a hundred or two hundred dollars an hour consulting or doing whatever and you just paid 50 bucks, are you really going to go spend an hour to go through that course or are you going to go make another hundred or two hundred dollars. There’s a little bit of psychology and just kind of human behavior that goes into the pricing as well like you said. Like we were talking about, sometimes it’s far better to charge a lot more for your course just so people value it more appropriately and actually will feel some pain if they don’t actually go through it. Micah: It’s interesting too because I think people get in their heads a little bit so like a lot of people who are creating a course, they’re doing a service, their course is helping people with let’s say it’s parenting, like I mentioned earlier, quitting smoking, and sometimes they get hung up on this idea of like “Well I wish I could provide it for free to people because everyone should do this, it’s going to improve their lives and I feel like if I price it too high I’m taking it away from people.” A lot of times the opposite is true, like you said, if the price is higher they’re more committed to it and I think also, this is a bit more selfish for the membership site owner but you as a membership site owner you don’t always want those people who want the cheapest price. A lot of the times you get a higher quality person, interaction, commitment, community, it starts to cascade when you charge a higher price you just get a better group and if you really want to you can have some sort of scholarship program if you gift it to people who are less fortunate but there’s so much psychology in pricing. What I usually see is, especially membership site owners who are doing something that they see as a service to the world, you know in that same vein, parenting and what not, they do get hung up on that and it’s kind of a false idea that you’re going to help somebody by making it cheap or you’re going to be able to serve more people by making it cheap because you can’t reinvest in your business, they’re not as committed, your product suffers, your client experience suffers, so I just agree 100% there’s a lot to it but that’s definitely something for people to consider. Michael: And you can’t help everybody. There’s a lot of people who are in business to make an impact at the world and that’s always a good thing and everybody should do that but you can’t be the bleeding heart where you literally want to rescue every single person and give everything away for free. In that smoke there’s obviously a lot of products and information and stuff, you can probably YouTube how to quit smoking and find 50 different videos that you want to watch and there is probably a lot of good advice out there. So the information is already out there for free but what you’re paying people for is simplifying it, taking the 20% of all the information out there that’s going to get them 80% there, so what are the three big things that are really going to drive the results and get them quick wins so they see products and build momentum and keep moving forward. You want to work with people, you want people to buy your course who are committed to getting the end results and are going to become advocates of your brand. I’m sure there’s tons of Quit Smoking out there for 50 or 100 dollars, I would charge 1000 dollars for that and guarantee they get the result because if somebody has big enough pain point, they’re motivated enough and see that you’re confident that your process works and your information is the best process out there, give them double your money back guarantee if they complete the course and that person is going to be highly motivated, they’re doubling down, they’re saying “yes, I want this result because I’m willing to part with a thousand dollars” and it’s not about having the cheapest online course out there. You want to work with people that are motivated and want to do the work to get the results and sometimes price point can help you kind of weed out the people that aren’t truly motivated and you’re going to waste a lot of time in customer support or answering Facebook comment or are going to alter your community with negative vibes, negative comments, things of that nature. One more thing really quick that’s one of the reasons why at Spiffy we don’t offer a free trial or have any free version of our product, which is kind of different in these days. There’s so many people out there just giving away 14 day free trials or 30 days free or having a free version of their product. It’s like that’s going to impact the level of customer service that we can provide to our paying customers and we don’t want this huge influx of people that are just in here to kick tires, end up cancelling or are quitting on a day right before their payment is supposed to go through after their trial. We’ve intentionally not done that just so we can provide a better service. We’re confident in the value we provide to our customers and a lot of that can transfer over to online course space as well. Micah: There are so many nuggets in all of your answers as well. For anybody listening to this, I would recommend listening to this and take some notes because Mike’s hitting on a lot of things. Like said, you can extract nuggets from every single answer, multiple things. I want to be respectful of your time and just kind of shift gears here because you’ve been really generous, I kind of put on your thinking cap and I think your expertise is valuable to anyone who is starting a membership site at all of these points. I’m sure we’ll have you on again but let’s talk about Spiffy for a couple more minutes. Give us kind of in a nutshell what it does and for people interested in that, how they should connect with you? Michael: Awesome, thanks for having me on board, thanks for those compliments, I appreciate it. So, Spiffy, bottom line, increases conversions of your Infusionsoft order forms. It makes them mobile-optimized, conversion optimized and we have a drag and drop builder that allows you to add custom content to your Infusionsoft order form. If you’re not using Spiffy and you’re processing orders to Infusionsoft, I almost guarantee that you’re missing out on sales from mobile traffic and even from desktop traffic too because your order form might not look like your website, it probably isn’t optimized for conversions, it doesn’t look like something that is trustworthy that you want to put your credit card information into. Just put simply, Sniffy helps you make more money through optimizing your conversions on sales. Micah: That’s perfect and how should people connect with you? Do you have social media profiles? Do they just go to Spiffy? Michael: Our website is gospiffy.com and if you have any questions our support email address is support@gospiffy.com and as Micah alluded to earlier we work with a lot of the top online influencers and online marketers, we have an examples page on our website as well, gospiffy.com/examples and you can see some of the people that we’re working with. This year alone, we’re super grateful and humble by this, we never thought that we would be producing, processing these types of numbers this quickly. Spiffy has only been around for about three years and this year we processed over 120 000 000$ worth of sales so, Spiffy is tested, tried, true, it’s definitely going to help you make more sales through your Infusionsoft order form. Actually we’re rolling out an update this week, we’re rolling out a template selector so up until this point you kind of had the drag and drop builder and you could create whatever you wanted but now you’re going to have a starting point. I’ve worked with Gaby Bernstein, Michael Hiath, Eric Thomas and talked to a couple other people but those three specifically created their dream order form, adding all the aspects they wanted to the order form and we’re making that template available and then other templates as well that we’ve created from our learning. So, now you’ll be able to start with a starting point. You heard it here first on the Memberium podcast that we’re rolling out that template selector, people are really going to love that. Thanks so much for having me on Micah, I appreciate it. Micah: Yeah of course and part of the reason, so it might have felt a little abrupt when we switched for those of you listening because me and Michael can go on all day but I’m definitely going to have him on again and we’re going to do a more in-depth case study video of his site once he’s done launching this thing and I’m excited to try it myself so Michael thanks so much for having me on again, you’re a genius, I just loved it, thanks man! Michael: Thanks Micah, talk soon bud!